I mean…shoes with no socks? C’mon now! ← Damn, that's a cute panda. I choose option number three! It’s the apparent pyjama pants that bother me more. We can only hope that those are pajama pants! 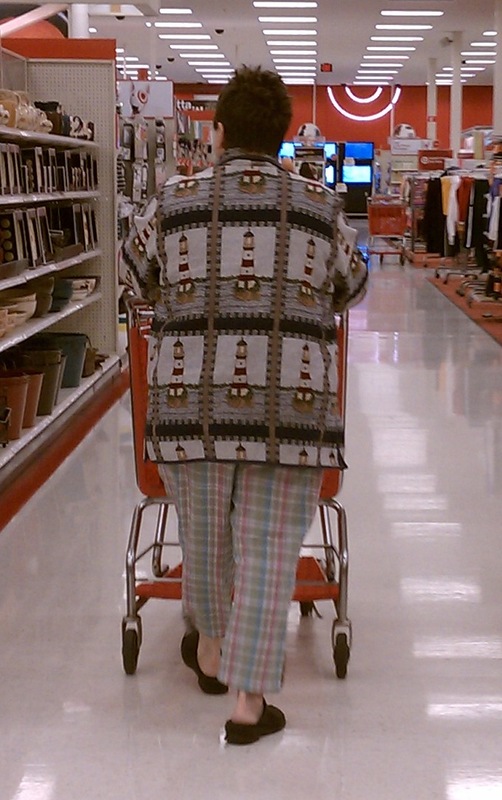 Looks like the lady was wearing a granny sweater over her jammies and was wearing her slippers. I agree. I’m not one to get gussied up a lot of times – but it was 9:30 on a Sunday – at Target? Had she already dressed for bed and then remembers something — from Target — she couldn’t live without?